Adrian is a past member of the CIPFA National Council, Public Finance and Management Board, Board of the Regions, Housing Panel and European Panel. Prior to being a Management Consultant, Adrian Waite was Finance Director and then Strategic Director at Copeland Borough Council. As Strategic Director, Copeland Borough Council, he was a Member of the Strategic Management Team. He led on strategic issues including: Compulsory Competitive Tendering and Best Value, Performance Monitoring and Benchmarking, Investors in People, Communications and Information Technology Strategies, the Private Finance Initiative, Lobbying for additional Standard Spending Assessment, and Single Regeneration Budget. In addition he managed Financial, Legal, Personnel Services, Committee Administration, Contracts and Projects Management, Building services, Leisure Management, and Environmental Services, including Grounds Maintenance and Street Cleansing. 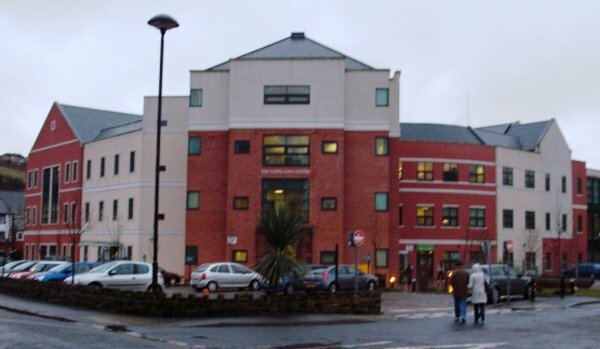 As Finance Director, he was responsible for establishing the authority on a firm financial footing, levering in funding for a capital programme that peaked at £20million a year, reducing Council Tax for two years running while improving front line services and representing the council on the board of the Whitehaven Single Regeneration Budget programme that transformed the economy and environment of Whitehaven. Adrian was accountable for Financial Administration under Section 151 of the Local Government Act as Finance Director, Copeland Borough Council. He managed the Finance Department, including Corporate Finance, Financial Support, Audit, and Revenues Benefits and Exchequer. From 1990 to 1993 he was Assistant County Treasurer at Staffordshire County Council where he managed a division of the County Treasurer's Department, including at different times: Financial Planning, Control, QCO Support, Income, Insurance, Loans and Investments, and Accountancy. He represented the County Treasurer at Highways, Waste Management, QCO and Enterprise and Economic Development Committees and provided financial support to the Council's Economic Development activities through the Economic Development Policy Group and the Staffordshire Development Association. He took the lead on corporate initiatives such as the creation of QCOs and business planning, the creation of Local Authority Waste Disposal Companies, and the transfer of Staffordshire Highway Works to the private sector. Between 1981 and 1990 Adrian held positions at West Yorkshire, Leeds and Newcastle on Tyne Councils at which he gained experience in accountancy, audit and the finance of almost every local government service.